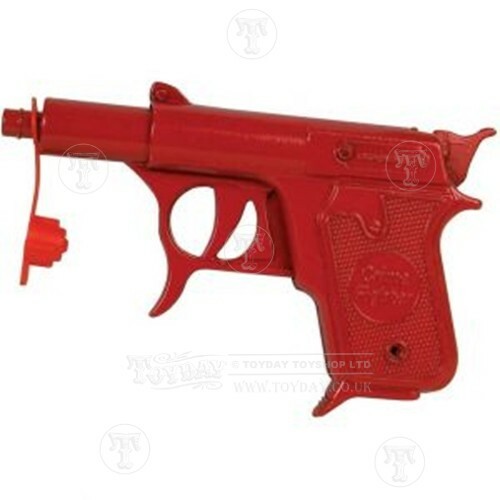 toys-toys-toys.co.uk: Can a Toy Gun Hurt? Having just read a very anti toy guns blog I felt the need to write my own. Whether we like it or not children will find out about guns and weapons from the TV, Video games, books, fairy tales, the list goes on. For them it is as simple as goodies and baddies and the weapon of choice can be as simple as fingers. We learn many things from play and the difference between imaginary and reality is an important lesson. By not letting a child have a toy weapon are we making them want one more? Well I guess that depends on the child and like with all parenting there is no rule book you have to do whats right for you and your child. Personally I think whether we choose to let our children play with toy guns or not, the important part is educating them about the harm they can do. They will not turn in to sadistic serial killers just because they played with a toy gun as a child. To behave responsibly is something we teach them.